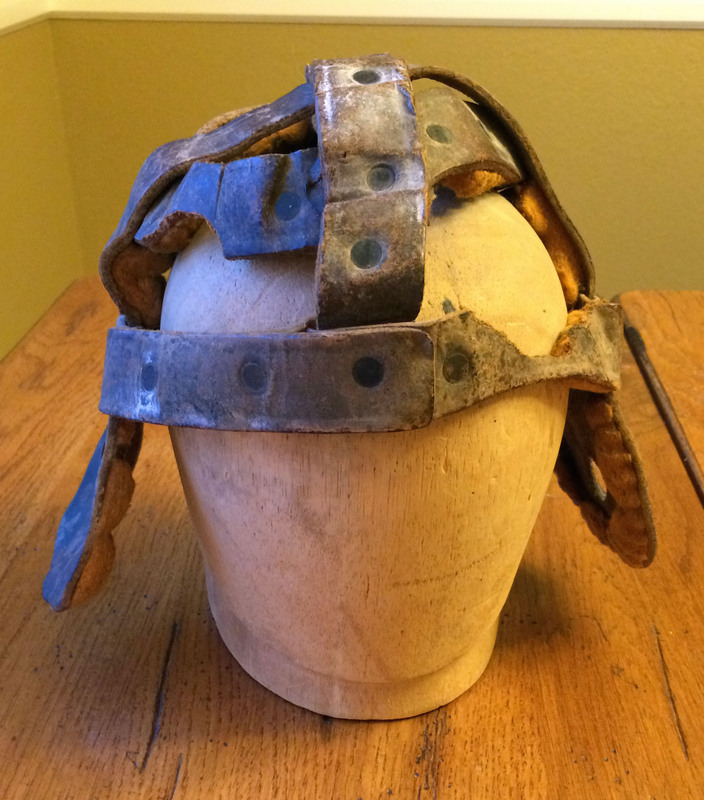 Our January 2016 Artifact of the Month is an extremely rare and unique double crown strap head harness from the collection of Dr. Greg Smalley, whose collection we feature in our latest Collectors' Showcase. 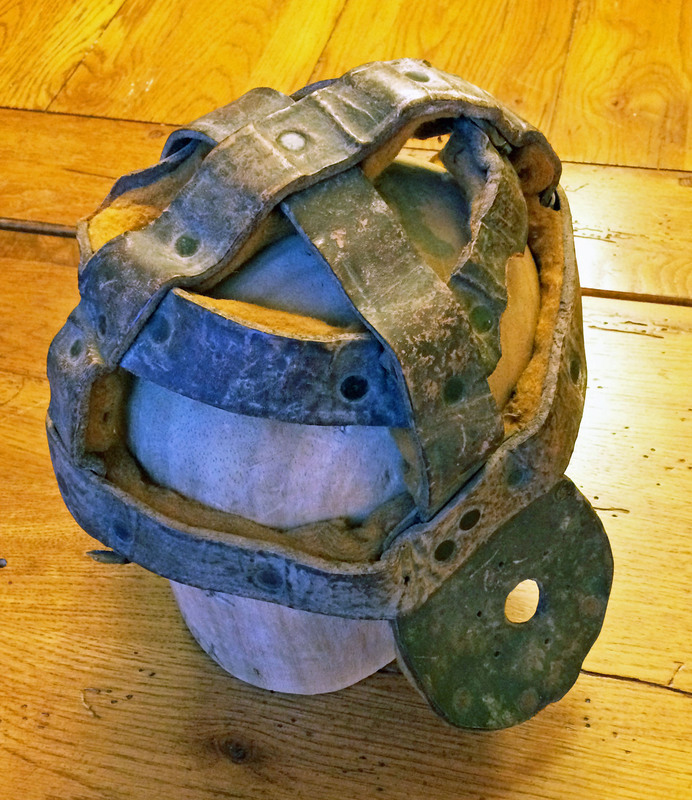 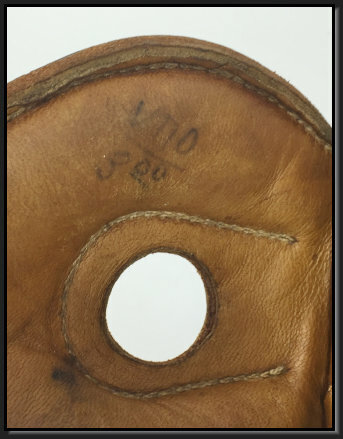 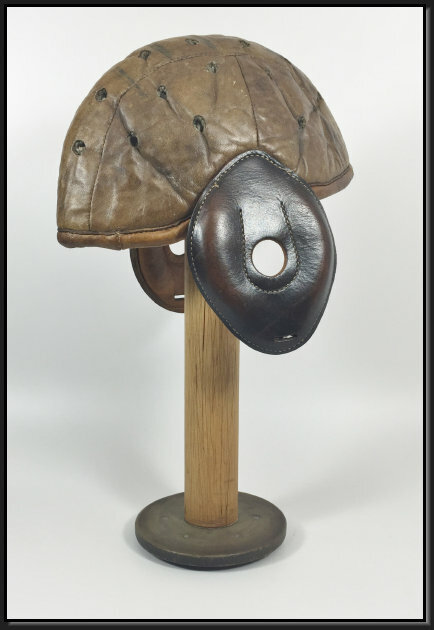 The 4-strap head harness, the earliest form of football head protection, was produced between 1895 and 1902 by sporting goods manufacturers, leathersmiths, and saddlemakers. 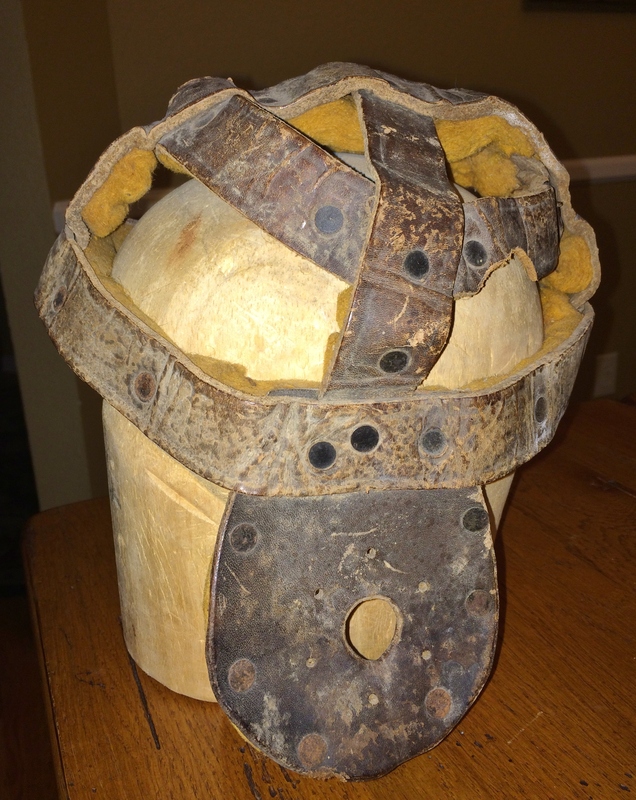 Originally conceived to primarily protect the ears, by 1897 most harnesses included felt or wool padding for the head. 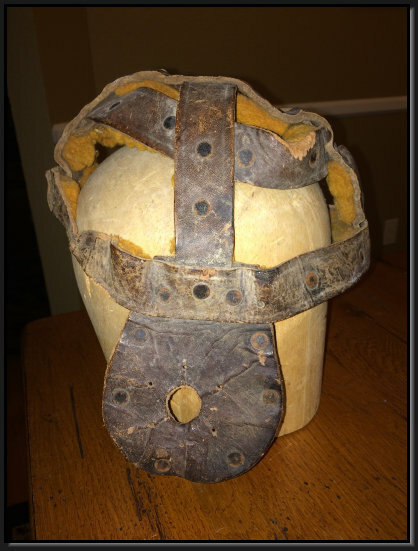 What makes this example unique is the second leather crown strap between the forehead and the top of the head. 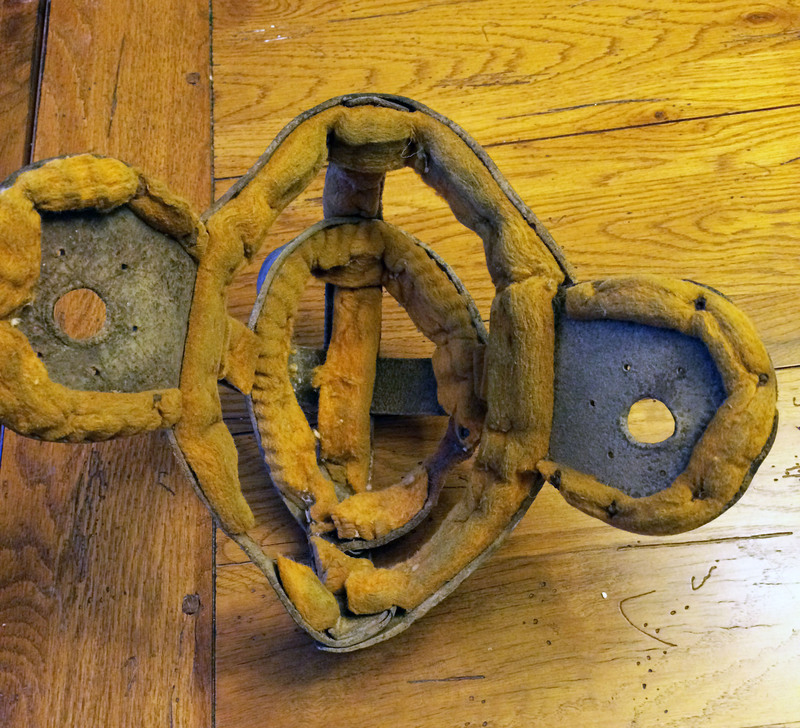 This is the only example we've seen with this configuration. 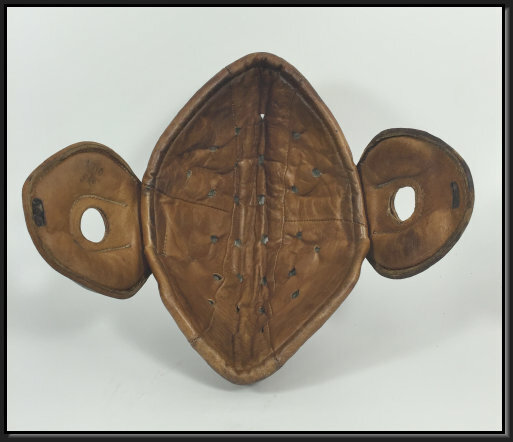 It also features metal rivets connecting the leather straps, a technique used up until around 1900. 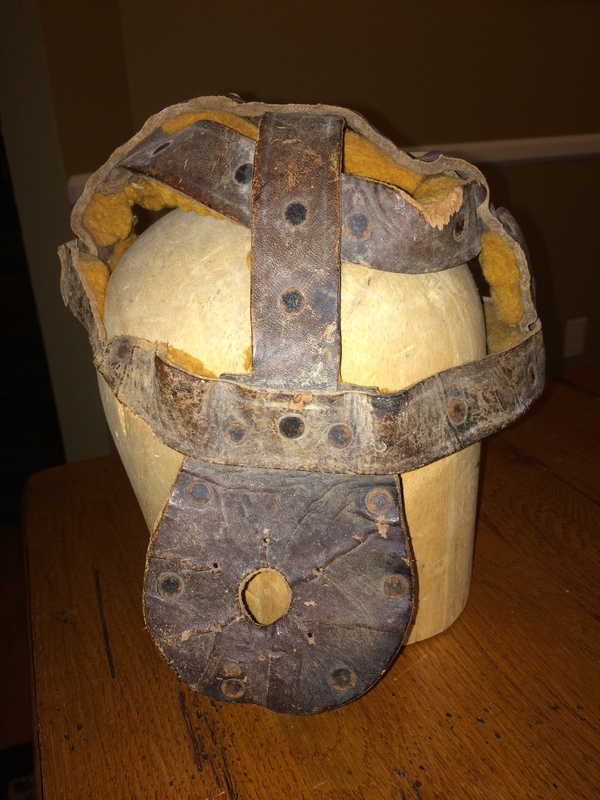 In light of it's relatively inexact construction techniques, the head harness was probably handmade by a leathersmith by request. 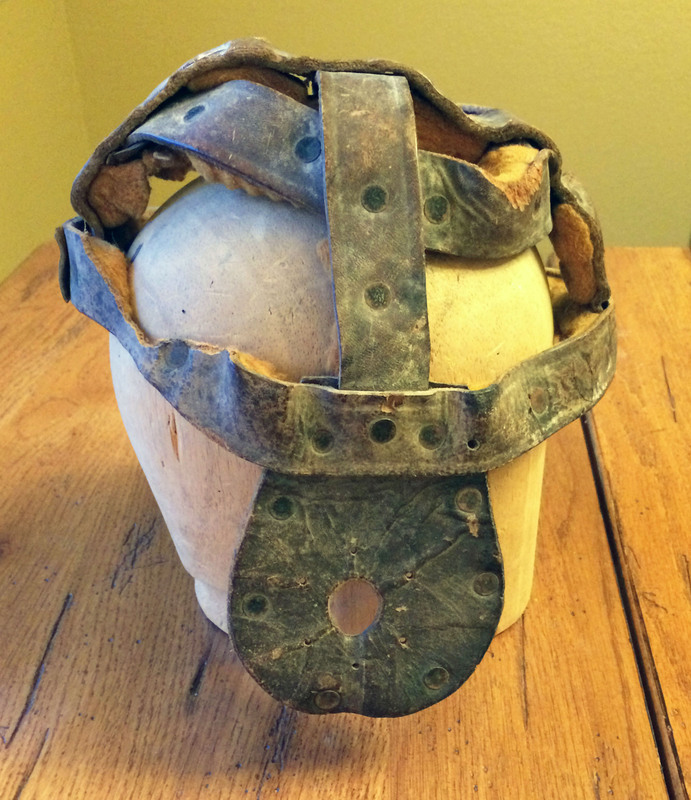 Greg received this head harness from his wife as an anniversary gift nearly 20 years ago. 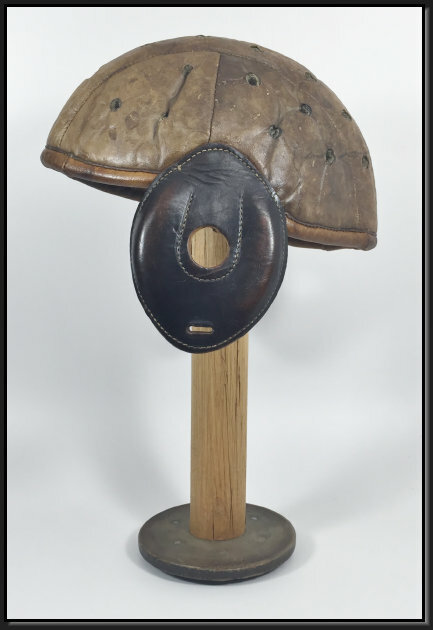 The Springfield, Missouri dealer from whom she purchased it was an avid antique football collector who discovered in at an estate auction somewhere on the East Coast. 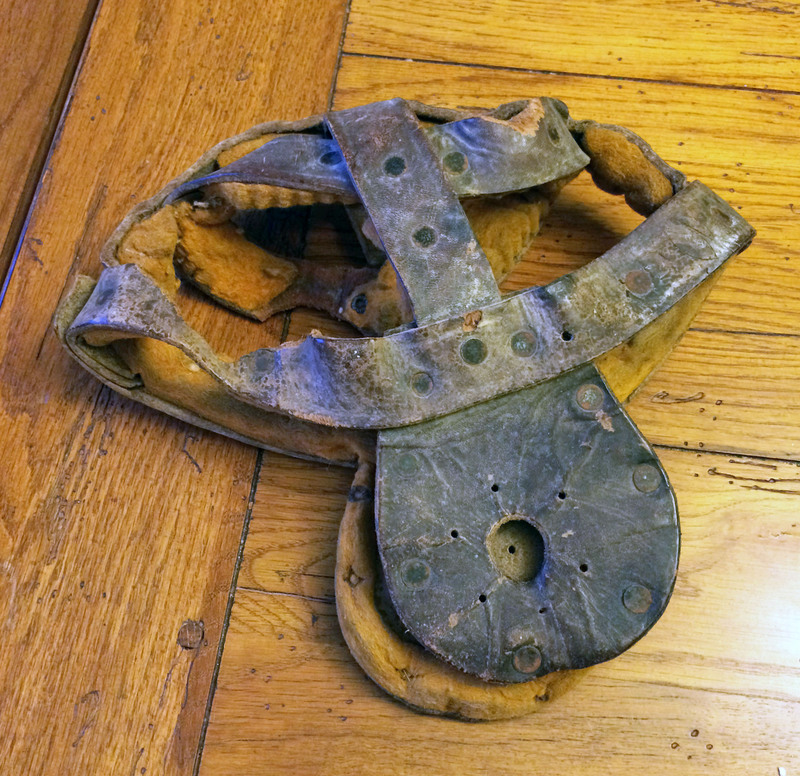 Despite the fact that the harness is missing its chin strap and was chewed on by a creature at some point in its life, it remains an incredibly rare relic from the earliest days of American football.